Chuck Lorre’s latest comedy, “Disjointed,” will drop 20 episodes on Netflix on August 25, 2017. 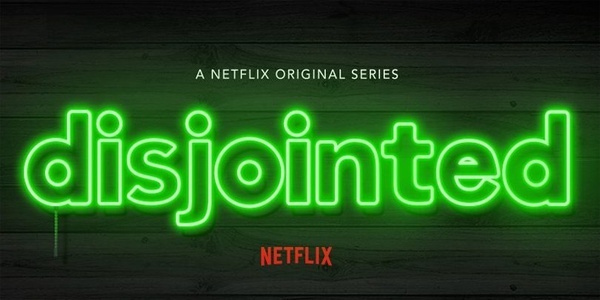 The story includes a brief teaser trailer of the show’s star, Kathy Bates, dressed like an old hippy, taking a toke from a marijuana cigarette, while emerging from her brand-new business, a medicinal pot dispensary that has become a legal business thanks to recent changes in California’s drug laws. Bates stars as Ruth Whitefeather Feldman, a longtime pot legalization activist who has now achieved her dream of selling marijuana out of a dispensary. She is aided by three “budtenders,” her 20-something-year-old son, who serves as her business manager, and a security guard who is suffering from PTSD thanks to service in Afghanistan. The ensemble cast will doubtless go through a large number of complications in selling cannabis to people who have a medical need for it. The potential for a lot of drug humor in the style of old Cheech and Chong movies is certainly present. But Lorre has done some of the funniest and most memorable sitcoms on modern television, including “Two and a Half Men,” “Mom,” “Mike and Molly,” and, of course, “The Big Bang Theory,” the long-running show about socially-awkward geniuses and the women who love them. One suspects that the audience can count on Lorre to not use stoner humor as an easy laugh but rather use character and plot for humor. Pot has been a popular subject on television, notably the long-running Showtime series “Weeds” which depicted a recently-widowed mother getting into the cannabis business and suffering a significant number of complications as a result, including brushes with both the law and organized crime as well as an unusual work/family/life balancing act. “Disjointed” seems to be in the same vein but set in the brave new world where one can get legal marijuana in certain states and under certain conditions.